For this wedding, I was only hired for about five hours. It was supposed to take place at the Hilton Hotel in NJ. It took me over one hour to travel to the location. I had never met the bride before, only talked to her once on the phone and everything else was done via e-mail. When I arrived, I only met her fiancee and she was getting ready in her room. The fiancee, the groom to be, was very nice and introduced me to his sister. It was a cloudy day and the ceremony was supposed to take place outside. It looked like it was about to rain but they did not decide to move the ceremony indoors. When the ceremony started, I finally saw the bride for the first time. She was very nice and even though we have never met before, it did not seem that way. The ceremony took place outside and after that I was told they wanted to take some family photos outside as well. We took this image on a side of the hotel. 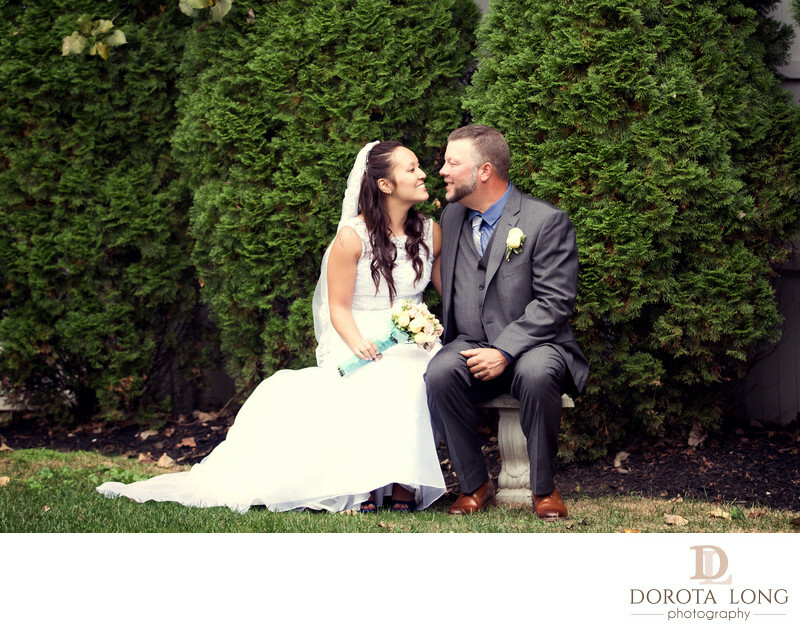 I love the way the trees create a vignette around the couple. It was a little difficult to find a perfect spot to take photos so I asked the newlyweds if they could wait a minute and walked around the hotel to find a good spot to take photos. I finally saw a nice corner right behind the dumpsters. Who knew!